Juan Mata is without doubt one of the most talented players in the current Manchester United squad. But apart from his footballing abilities, the playmaker also has a reputation of being a genuinely nice individual. The Spaniard has always been a staunch supporter of great causes, as evident from his very own Common Goal movement, wherein Mata and several other players across Europe have vowed to donate 1% of their salaries to help tackle social challenges across the world. The 30-year-old also shares a great relationship with fans, be it supporters of the Mancunian giants, or just lovers of the beautiful game in general. And that very fact was on clear display during a recent incident, where the player was seen making an unbelievable gesture. 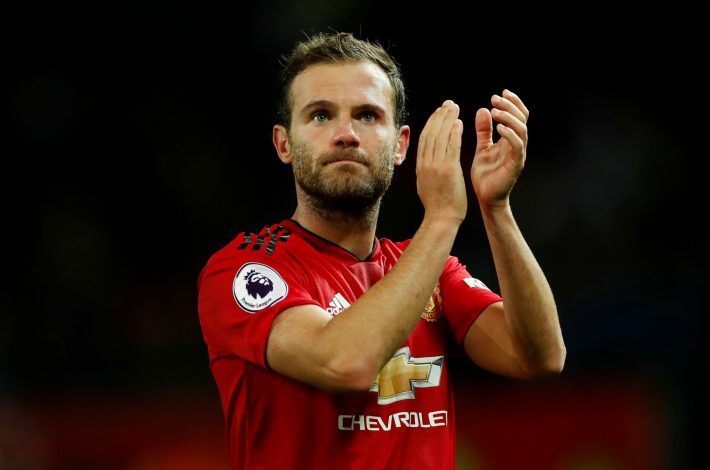 In his latest column for ESPN, esteemed football journalist Andy Mitten revealed how Mata took out valuable time to specially meet his younger brother and his teammates. He wrote: “On Wednesday night midfielder Juan Mata showed up in the bitter cold at Harry, my brother’s, training session for his junior team Wythenshawe. “The mother of one of my brother’s teammates knew Mata and his girlfriend, Evelina. She mentioned to Juan that we had lost our father and Harry was struggling and wondered if it would be possible to get something signed for him. But that wasn’t it, as the former Manchester United record signing even volunteered to have a kickabout with the young players by himself.